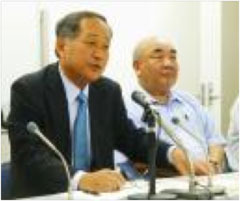 Former baseball players looking to help train the next generation of stars will now find it easier going after directors of the Japan Student Baseball Association agreed unanimously on June 18 to loosen requirements for ex-pros to coach high school teams. Under the previous regulations, even former pro players were required to have at least two years of teaching experience before becoming a high school baseball coach. The directors agreed to do away with that requirement, and introduce a two-stage training course for the former players. In the first stage, handled on the professional side and lasting one day, former players will learn about the historical relationship between professional and non-professional baseball in Japan, and the rules surrounding the acquisition of players. The second stage, handled by schools, will last two days and cover topics including how to handle funds and the ban on corporal punishment. The new system will take effect on July 1. Four sets of the courses are planned for this school year, and it is possible that the system will graduate its first coaches by the end of the year. Each set will have around 100 to 150 students.